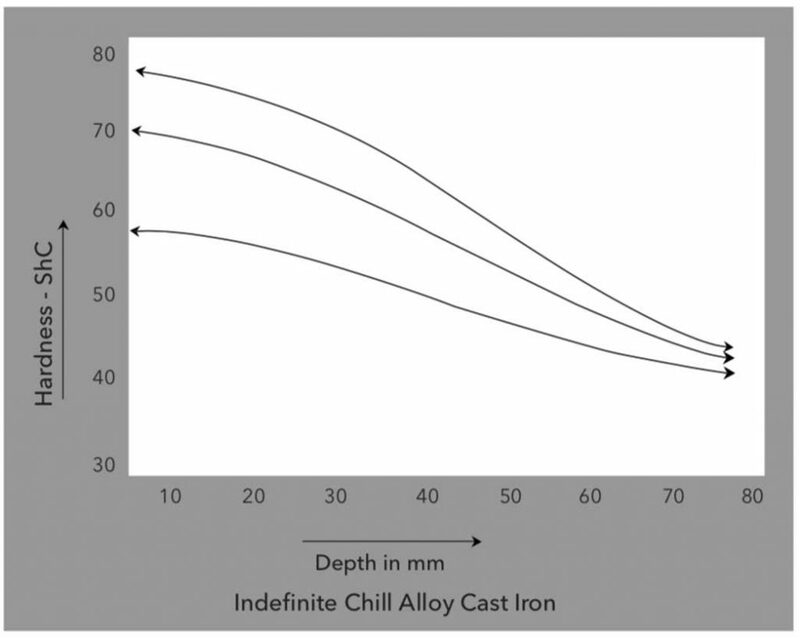 We are Indefinite Chill Alloy Cast Iron Manufacturer across pan India. 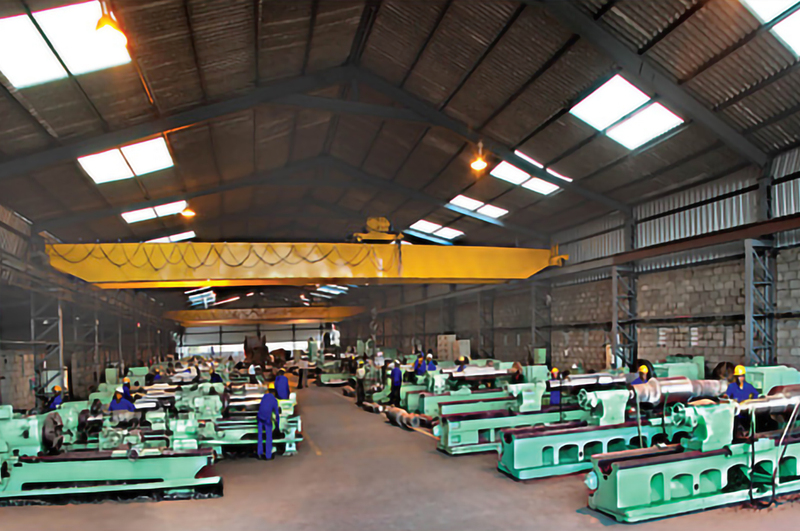 Customised to clients requirement assuring the best quality which is used in the structural mill, Merchant Mill, Roughing stand, TMT Rolling Mill, Rebar Rolling Mill, Wire Rod Rolling Mill. 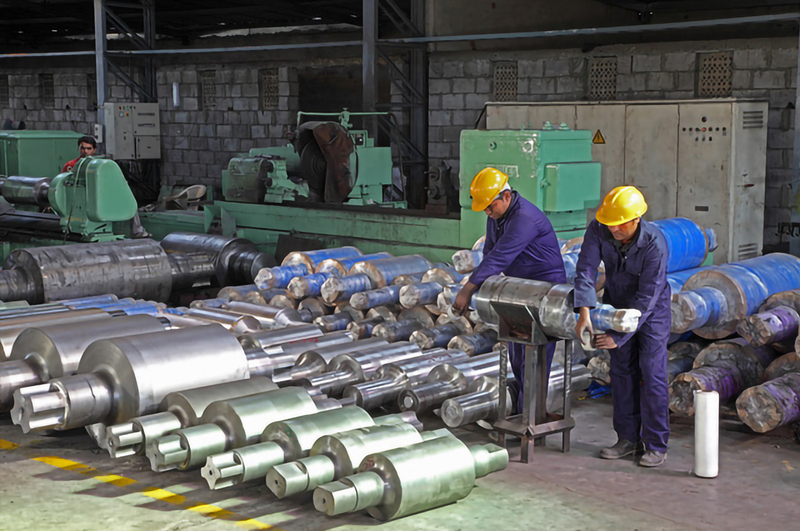 These are cast iron based rolls alloyed with Nickel, Chromium and Molybdenum having a matrix of pearlite and carbide with flake graphite. 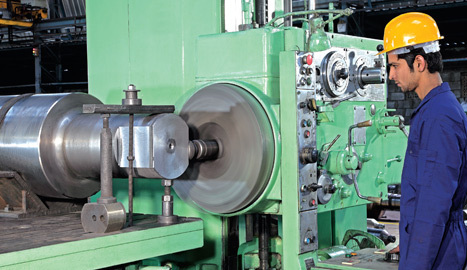 These rolls are used primarily for Section Rolling. The material has very good thermal properties and in parts a good surface finish to the product. 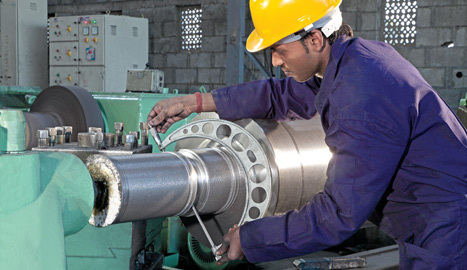 These rolls are available in higher hardness ranges where the matrix is Bainitic instead of Pearlitic and are used in finishing stands of rod mill. IC 65-70 Magnification : 150x Bainitic -Martensitic Matrix With special flake graphite, carbides and some pearlitie.